Warner Home Video will release separate Director's Cut and Theatrical DVD versions of Oliver Stone's Alexander on August the 1st. The Director's Cut disc will feature new footage, and "dozens of dramatically reshaped" scenes, involving hundreds of edits (no doubt one of the reasons that the theatrical version of the film will be released separately: it would be too complex to do with branching). 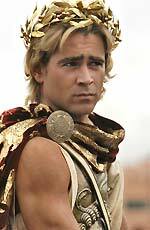 Stone is quoted as saying: "We shot a mountain of rich material on Alexander. The first cut was accomplished in seven months, this second cut in ten months. Each represents a different approach to a very tall mountain". The single-disc Director's Cut release will feature a commentary track by Oliver Stone. The Director's Cut runs for 167m. The two-disc Alexander - Original Theatrical Version will feature a commentary by Stone and historian / Alexander biographer Robin Lane Fox; three "penetrating profiles of an epic screen event" (strewth!) - Resurrecting Alexander, Perfect is the Enemy of God and The Death of Alexander; two trailers; DVD-ROM PC web-link to an online Alexander the Great site. The theatrical version runs for 175m. Both versions of the film will be presented in 2.35:1 format, with Dolby Digital 5.1 audio and English and English HoH subtitles. RRP for the Director's Cut is £17.99; the Theatrical Version is £22.99. Sleeves for some of Network's July titles have appeared on some e-tailer sites. Here are the best available pictures for The Baron, the mammoth ten-disc Coronation Street - The 70s box set and Gideon's Way... Sorry about the cruddy quality - Network refuse to send us any PR material. The BBC website is listing the 8th of August as the release date for the Steptoe and Son - Volume 2 and Dad's Army Series 4 DVDs, Both discs will have an RRP of £10.99. Thanks to Peter Denmark for spotting that. Anchor Bay are releasing a couple of David Cronenberg titles on July the 18th. A two-disc edition of The Brood offers a presentation that's "completely uncut and uncensored for the first time in the UK". The set will also feature a documentary from the American Film Institute, culled from their The Directors series; film notes; biographies and trailers. The film will be offered with a choice of stereo 2.0, Dolby Digital 5.1 or DTS 5.1 mixes, with English HoH subtitles. The RRP is £16.99. They're also releasing a box set of Scanners and its two relatively awful sequels (Scanners II: The New Order and Scanners III: The Takeover). All three films will be presented in 1.85:1 anamorphic widescreen format, with options for stereo 2.0, Dolby Digital 5.1 and DTS 5.1 mixes, with English HoH subtitles. Each disc will have an Inside Scan feature "by genre critic Alan Jones" (I don't know if this is video, or a text feature) biographies, film stills and trailers. The Scanners disc will also feature the The Directors: The Films of David Cronenberg documentary. The RRP is £24.99. The discs will also be available separately. The BFI has confirmed that the much-delayed British Transport Films Collection two-disc DVD On And Off The Rails will be released on June the 27th. The disc will be accompanied by a booklet with an introduction and detailed notes by BTF historian Steven Foxon. The RRP is £19.99. Tartan will release Todd Solondz's quirky Palindromes on DVD on August the 22nd. The film will be presented with a choice of Dolby Digital 5.1 or DTS 5.1 tracks, and will have an RRP of £19.99. Extras are TBC. There's more Jennifer Jason Leigh (and, honestly, when isn't that a good thing?) in Brad Anderson's abrasive thriller The Machinist, which stars Christian Bale. The film will be released on DVD by Tartan on August the 1st. The disc will feature a commentary track by the director, a Making of... featurette, eight deleted scenes and an exclusive interview with Anderson, in which he discusses some of his themes and influences. The film will be presented with a choice of Dolby Digital 5.1 or DTS 5.1 tracks, with English HoH subtitles. The RRP is £15.99. The final disc of The Tomorrow People, Series 8, which features the story War of the Empires, will be released on July the 25th. Revelation's disc, which was previously available as part of a MVC-exclusive box set, will feature a commentary track by cast members Nicholas Young, Michael Holoway and Nigel Rhodes, as well as text biographies, fact files and a picture gallery. The RRP is £15.99. The BFI London IMAX cinema will be showing a digitally re-mastered version of Batman Begins from June the 16th. The film has been processed with the proprietary IMAX DMR technique, which optimises the film for presentation on a screen that's five storeys tall. The film marks the fifth Warner Brothers film to be re-formatted for IMAX presentation (previous releases have included the two Matrix sequels (one of which is reviewed here) and Robert Zemeckis's The Polar Express, (which I reviewed on November the 18th)). 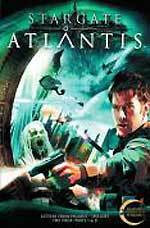 Stargate Atlantis - Volume 5 will be released on July the 11th, with an RRP of £19.99. It will feature the final four episodes of the series' first season: Letter From Pegasus, The Gift, and both parts of The Siege. 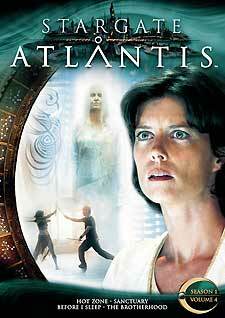 Bonus features include Atlantis Mission Directive - The Gift; The Lowdown: Making of a Stargate Fan (Part 2); Behind The Scenes: Martin Gero; photo and production galleries. Stargate SG-1 - Volume 43 will be released on July 25th, with an RRP of £19.99. 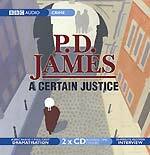 It closes the eighth season with the final three episodes: Citizen Joe and the two-part Moebius. Bonus materials include a Director Series featurette on Moebius (with Peter DeLuise); The Lowdown: Making of a Stargate Fan (Part 2) (again?) and a production design / photo gallery. 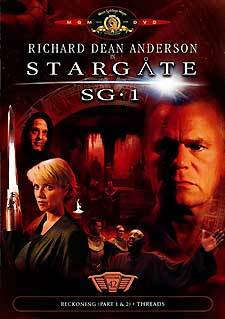 Don't forget that there are signs that commentaries may be added to some of these Stargate episodes when they're re-released as season box sets (the BBFC has certificated a commentary track for the SG-1 season opener New Order, which wasn't on the commercially-released Volume 38). 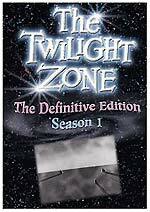 Cinema Club has confirmed July the 25th as the release date for the Twilight Zone - Season 1 - The Definitive Edition six-disc DVD box set. The set will feature all thirty-six half-hour episodes of the first season, re-mastered from the original camera negatives and magnetic sound tracks. Bonus features include episodes with commentary tracks by Earl Holliman, Martin Landau, Martin Milner, Kevin McCarthy, and producer William Self. The set will also feature interviews with Burgess Meredith, Douglas Heyes, Richard L. Bare, Buck Houghton, Anne Francis, Douglas Heyes and Richard Matheson, conducted by Marc Scott Zicree, author of The Twilight Zone Companion. Other extras include a recording of a lecture by series creator Rod Serling; a Rod Serling-hosted game show, Liars Club; Emmy awards presentation clips; and a 1963 Twilight Zone comic book. Selected episodes will also feature isolated music tracks (the episodes were scored by some of the best composers working at the time, including Bernard Herrmann and Jerry Goldsmith). The RRP is £59.99. 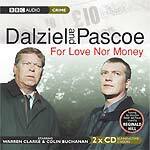 Dalziel & Pascoe - For Love Nor Money (an audio adaptation of an episode of the TV series starring Warren Clarke and Colin Buchannan, with linking narration by John Telfer). 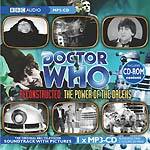 Doctor Who Reconstructed - The Power of the Daleks (a special disc linking MP3 recordings of six otherwise-lost Patrick Troughton episodes, synced-up to a slideshow of off-screen telesnap photo's). 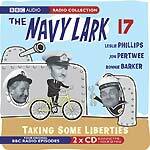 CD only - RRP £19.99. A few sections of Zeta Minor have been tweaked and updated today. Firstly, to mark today's long-awaited DVD release of the first season of Catweazle, I've tidied up the Zeta Minor guide to the series: adding a few screenshots, bringing the Introduction up to date, and upgrading the banner. Check out the Catweazle guide index page here. The best price for Network's Catweazle - The Complete First Season DVD seems to be £16.19 here. The Incoming page has been updated. All the titles that were listed as due out today have been checked against online retailers, to see if they're still expected today. 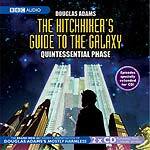 Those that seem to have changed are the Confessions of a... box set (moved to 6th June); Doctor Snuggles - The Complete Collection (30/5/05); Forbidden Planet (off the schedule); Heimat 2 (30/5/05); Jupiter Moon - Volume 5 (20/6/05 - Volume 4 is still expected today); Million Dollar Baby (13/6/05); and Stanley Baxter - The Specials (30/5/05). I've also updated the Hammer DVD Guide, with some information about recent French DVDs and more details of the US laserdisc releases, courtesy of René Vincent. DD Home Entertainment plan to release Secret Army sequel Kessler on September the 19th. The set will feature a thirty-two page booklet written by Andy Priestner; interviews with star Clifford Rose and director Michael E. Briant; audio commentary by Rose and Briant on episode six; and two photo' galleries. 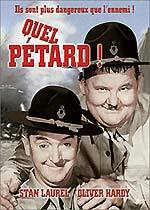 Contributor Andrew Smith has spotted that the French division of Fox Home Video have scheduled three Laurel and Hardy films for release: Great Guns (Quel Petard!) is due on June 1st; Bullfighters and The Big Noise are due for release later in the year. No extra's are listed for any of the disks. Amazon France have Great Guns listed for €12,99. Buena Vista Home Entertainment will release the haunted house thriller Darkness on July the 18th. The film, about an American family who move into a remote Spanish town, and uncover a grim secret, stars Anna Paquin, Lena Olin and Iain Glen. Technical details and the RRP weren't announced, and the press release lists the extras as "TBC". The US disc has a 2.4:1 anamorphic transfer, Dolby Digital 5.1 audio, and a basic four-minute featurette, Darkness Illuminated: Behind the Scenes of Darkness. It's likely that the UK version will be identical. 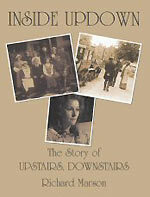 Finally, a new edition of Inside Updown, Richard Marson's outstanding book about the popular LWT series Upstairs Downstairs, is now available to pre-order from Kaleidoscope Publishing. You'll find more information about the book, a definitive history of the series based on years of research and numerous interviews conducted by the author, here. There's a £4 discount on the price if you order by the end of May!